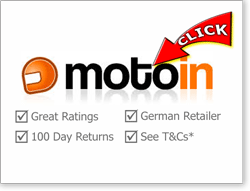 3 Looking to buy a Schuberth? 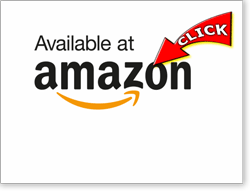 13 Best place to buy a Schuberth crash helmet? 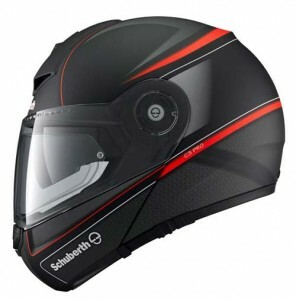 16 Definitely want a Schuberth? Schuberth C3 Pro crash helmet. A high quality (and higher-priced) modular helmet. In a similar way to other German engineering companies, Schuberth have grown a reputation for producing high quality, well-built and more premium-priced products. They have classic, well-designed looks and with high profile F1 sponsorships stretching back to Michael Schumacher and beyond, they’ve established themselves as a very much premium crash helmet brand. The similarities with other German companies doesn’t end there either. In the same way a BMWs 3 GS undergoes evolutionary improvements rather than massive wholesale changes, the C3 Pro is an evolutionary development of the original C3, with Schuberth looking to address some of the problems reported by owners of the previous model. 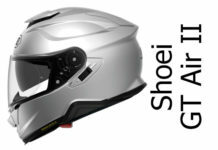 They’ve also added a ladies version to the range too with the aim of fine tuning the fitment to the female face shape. So is this sporty flip-up helmet worth its premium price and does it live up to the hype? The Schuberth C3 Pro is a beautifully crafted but slightly flawed motorcycle helmet. 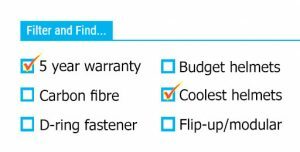 Build quality is exemplary and it’s a hugely comfortable place to put your head; and it’s made from carefully selected, quality materials. It’s also pleasing on the eye, light for a modular and has great aero qualities with excellent buffeting and turbulence performance reported by owners. However, some of the design goals of creating a sporty, quiet, safe helmet haven’t been quite met. It achieved only an average 3 star SHARP safety score, and isn’t as real-world quiet as some of the press would have you believe. Having said that, it’s still an easy crash helmet to live with which most owners love and, with its long manufacturer’s warranty, should keep you happy through years of solid service. The most important feature of any crash helmet is its ability to protect the head in an accident, right? 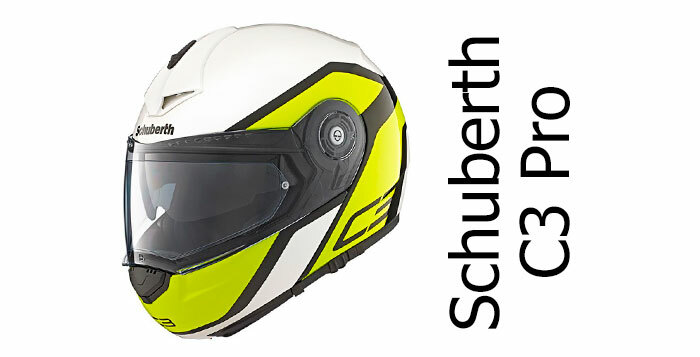 The Schuberth C3 Pro has a fibreglass composite shell that’s designed to be light yet durable. 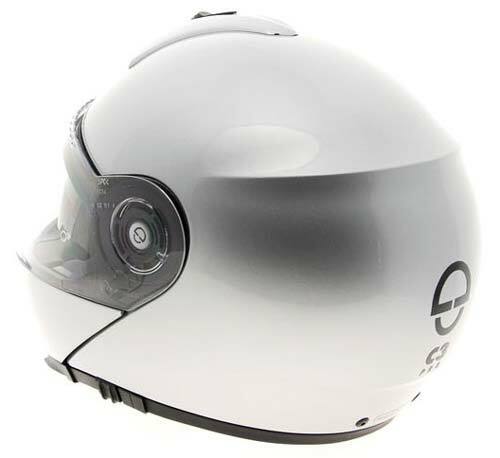 It has, of course, been ECE 22.05 tested/approved for sale in Europe, like all helmets must be. But it’s also been independently SHARP safety tested in the UK where it scored 3 stars out of a maximum 5. 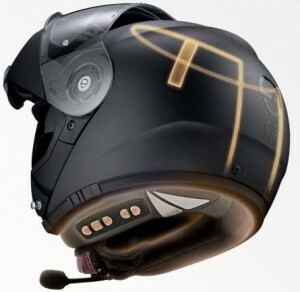 That’s a fairly average score for such an obviously thoroughly designed and well-engineered helmet. It performed pretty badly on the side impact tests and was less than glowing on the rear impact tests too which is disappointing. On the plus side, where many flip-up helmets fall down is that they fail to keep their chin guard closed and locked through all the tests. In the C3 Pro’s case, the chin guard stayed fully locked in 97% of impacts, which is a very good score (see our crash helmet safety guide to find out which brands score 100%). Other safety-related features: both visors are very clear and optically correct, helping reduce eye fatigue. And the micrometric chin strap is not only easy to use but safe too. All in all, the Schuberth C3 Pro probably isn’t going to give you the same level of protection as some of our SHARP 5 star tested crash helmets, and is about average compared with most other SHARP tested helmets on the market. One of the big features Schuberth highlights about the C3 Pro in its marketing bumf is that its one of the quietest helmets in the world. Indeed, Schuberth uses wind-tunnel testing when creating their helmets, not only to make sure they’re streamlined to reduce rolling resistance and buffeting but to ensure their helmets are quiet for the rider. And it’s worked. Kinda. Some owners say it’s incredibly quiet while others say they’re disappointed. So what’s going on? As far as I can work out, if you keep the removable chin curtain in place (which reduces sound ingress from below) and keep the vents closed, it’s mostly pretty quiet. That’s especially true if you’re riding a naked bike or your head’s in clear air. Throw in turbulence from a fairing however or open the vents/remove the chin guard and things can get pretty noisy. As usual, it’s also very much dependent on what your previous helmet was too. If you’re used to riding with a sports helmet (where noise suppression is usually secondary to light weight or increased ventilation for example) then you’ll most likely love how quiet and serene the C3 Pro is. Conversely if your last helmet was a well-padded touring helmet, then you might not be so impressed. Of course, flip-up helmets are broadly much noisier than the equivalent full-face helmet (so if quiet’s important to you, go for a full face). However, we rate helmet noise across the types of helmet and, from what owners are saying, the C3 Pro is only about average for keeping things quiet. The Schuberth C3 Pro is made in a massive range of fitment sizes; from XXS to XXXL (though XXXL is special order only), which is great for those of us struggling to find a really small or large helmet as most only come in sizes XS – XXL. However, the C3 Pro is only constructed in two shell sizes. You’d expect more shell sizes for a helmet at this price point – most premium helmets are made in at least three shell sizes and we’re starting to see some made in four shell sizes. Just two shells isn’t a good thing because it means they have to over or under-pad the helmet to make it fit the various fitment sizes which can leave the helmet looking proportionally too big or too small on the rider and, arguably, it might compromise safety levels too. If you’re looking to order a C3 Pro, it’s also worth noting that owners say Schuberth’s sizing is generally a little under-sized, so if in doubt or you’re usually in between sizes, order a size above your usual helmet size. Having said that, Schuberth do offer replacement cheek pads to allow you to fine tune the fitment. And of course, this padding is further developed in the C3 Pro Woman version which is, and I quote; ‘optimised for smaller head shapes and takes into account the particular female face shape with special cushioning in the area of the cheeks.’ Ahem. So, if you’re a lady and you have a problem finding a helmet to fit snugly, it might be worth giving the C3 Pro Woman a shot. Improved ventilation is another area Schuberth have worked hard on and their literature does throw lots of factoids about how many gallons of air they scoop up and blow into the helmet. The C3 Pro has a single chin vent operated by a very easy to use toggle switch and a slider on the top of the helmet to open the forehead vents – again which is easy to use. However, there’s mixed feelings about how well the vents actual perform. Broadly, it can be summarised as OK. They pull enough air in to keep you cool in the summer, though some owners suspect that opening the vents does increase noise inside the helmet. 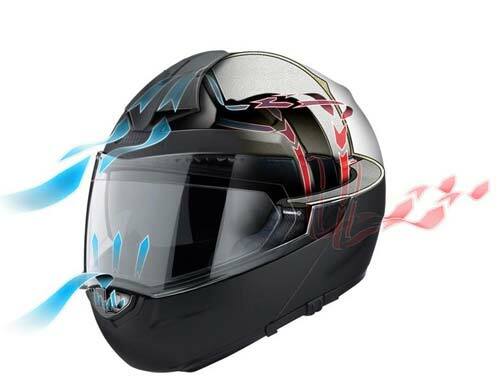 And in the winter, a few riders do complain that the ventilation doesn’t really pull enough air into the visor area as they find steaming a problem – a couple of people even complaining about it when they’ve got a Pinlock fitted! 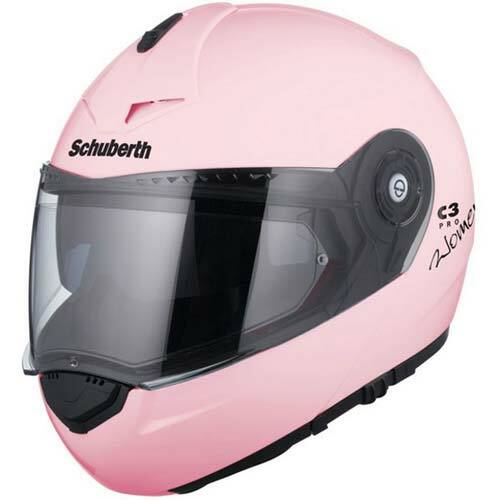 The Schuberth C3 Pro comes with a clear external visor and a drop down sun visor. The main visor is an ‘optical class 1’ visor which means it’s created to be as optically clear and distortion free as possible – and owners report that if you’ve not worn a class 1 visor before, it’s really noticeably better. It has a couple of tabs at the bottom which is a great idea and allows riders (and pillions) to easily open the visor from either side. 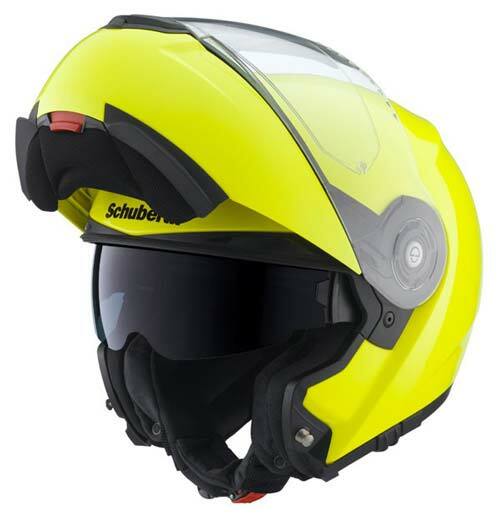 It also has small triangular shapes protruding from the top of the visor called turbulators – there, according to Schuberth, to reduce wind noise and whistling. 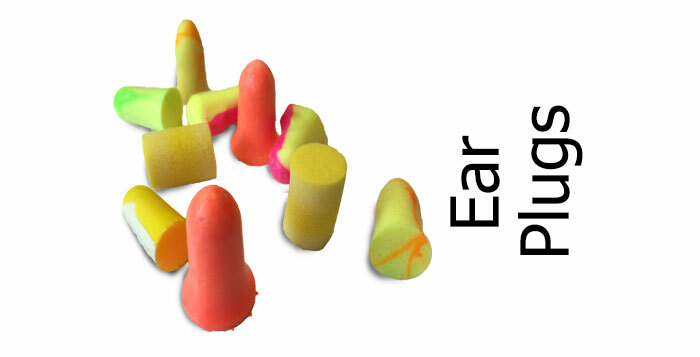 Nobody’s really sure if they work and the occasional owner has reported annoying whistling from their C3 Pro so it’s anybody’s guess whether it’s an improvement or gimmick (let’s face it, nobody else seems to use them). There are also one or two reports of visors not sealing so well against the rain but other than that, the main visor has a nice positive feel, works on a ratchet and has an excellent tool-free quick removal system. The internal sun visor works well too. It’s a polycarbonate anti-scratch sun visor (not all are) and drops down lower than the visor on the previous C3 model after improvement in response to rider feedback. People who owned the previous model also complained it had a tendency to rattle or slam closed – something fixed on the C3 Pro. Nice one Schuberth! A final note on the visor is that it comes with a Pinlock Original anti-fog insert in the box, which is great. The only slight issue is that because the C3 Pro is a sportier helmet, if you do ride a sportsbike with a C3 Pro in a tuck position, you may well find the top of the Pinlock drops into your line of sight – which can get irritating. There’s no problems reported with the chin guard on the Schuberth C3 Pro either. As mentioned, it’s (almost) as safe as houses in that it remained locked in 97% of impact tests in the SHARP labs and that’s probably down to the solid metal locking mechanism and tabs. It’s a particularly impressive score because you only need to press a single button to unlock the Schuberth chin guard (many need a squeeze of two buttons) which makes the C3 Pro particularly easy to open with one hand. Worth noting is that the C3 Pro isn’t dual homologated (i.e. licensed for use as both an open faced and full faced helmet) like some system helmets are. 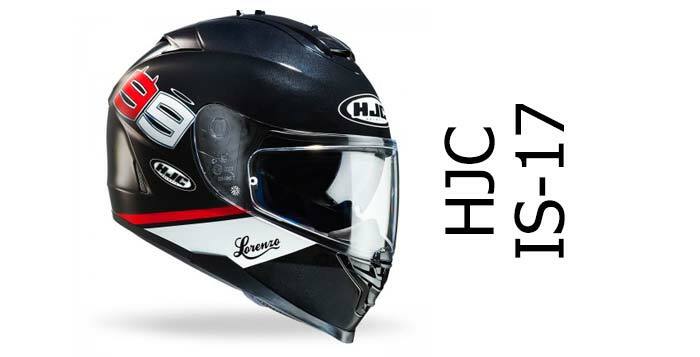 It probably doesn’t mean you’ll have problems from the fuzz riding with the chin guard up, but it’s worth being aware that it might not be as safe using it as an open face helmet as a dual homologated helmet will be. Schuberth have put a great deal of effort into making the inside of the C3 Pro as comfortable and high-performing as possible – and it’s worked. Quite a few owners comment just how nice and plush the inside is and how all-day comfortable it is. 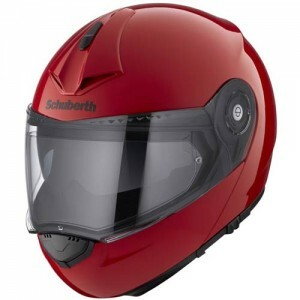 Schuberth use high quality materials inside. That includes ‘Coolmax’ panels, designed to regulate temperature, and Interpower coatings designed to wick sweat away from the head. Also, for the first time we’ve seen in a helmet, the internal materials are Oeko-Tek approved. That’s a certification used to ensure fabrics that come into contact with people don’t contain harmful substances; the more closely they come into contact, the more stringent the approval process. So if you wear your lid every day or you have particularly sensitive skin (not that us bikers are concerned with such namby pamby stuff 🙂 ) then it might be a tick in the box for you. The previous generation of C3 had problems with quite a few riders complaining about pressure points on the forehead. That area’s been reshaped and most owners reckon it’s a great improvement. However, getting the basics right is still no less important. So, if you’re unused to the world of motorbike crash helmets, check our crash helmet fitting guide first). Because it’s aimed at sports riders, the C3 Pro is streamlined and physically a little smaller than many other modular helmets. It’s a looker though and its clean and classy designs and paint schemes nicely complement Schuberth’s reserved and conservative image. All the usual plain colour schemes are available along with nice Racing Red, Gloss Silver and high-viz Fluo Yellow versions. The Dark Classic versions have a hint of swoopy red or orange lines while the Intensity (black or blue) has a classic and moody look. The C3 Pro Woman (right) comes in Gloss (Pearl) white, Matt Black and Pearl Pink. You’ll see all the designs available at the time of writing dotted around this page – but to see all the latest colour schemes and graphics, click the links to our recommended retailers (below) which will drop you straight onto their Schuberth pages. To get a bit more ‘hands on’ with the C3 Pro, here’s a quick demonstration from Schuberth’s UK distributors at TranAm. One overriding comment from owners of the C3 Pro is that it has great build quality. 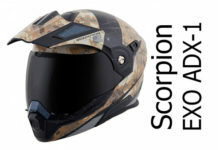 They use quality parts, careful construction and their QA process seems to work well so that you get a beautifully crafted and well engineered helmet that should last. As mentioned, the C3 Pro comes with a micrometric fastener on the chin strap. That’s fine – they’re quick to use and safe. Schuberth have also moved the strap forwards a bit from the original C3 in response to some owners complaining it cuts into the neck a bit. So if that was a problem for you, you should find the C3 Pro is a bit more comfortable. Similarly, there’s a bit more clearance for glasses wearers between glasses and the visor/chin guard now – another thing Schuberth listened and improved. It’s also worth mentioning that it looks like the time spent in the wind tunnel by Schuberth’s designers was well spent, because lots of owners say the C3 Pro is a really stable helmet with very little buffeting or turbulence at speed. Many owners of more expensive helmets like to add communication systems to them, and Schuberth have gone to town on integrating their Schuberth Rider Communication SRC System (apparently created for Schuberth by Cardo Systems) with the C3 Pro. The control unit of the SRC clips snugly onto the base of the helmet while the speakers and microphone are designed to fit without fuss. The main trick up the C3 Pro’s sleeve though is that Schuberth have pre-installed two antennas into the fabric of each helmet, designed to offer excellent range and signal quality (apparently their length is ideal for FM signal reception). Word is that it’s excellent and, for rider-to-rider communications (up to 9 riders) has an effective line-of-sight range of about 1000 metres, give or take. Schuberth retailers (including those linked to below) offer a single package of C3 Pro together with SRC kit. And finally, it’s a big wodge of money that Schuberth want for the C3 Pro. 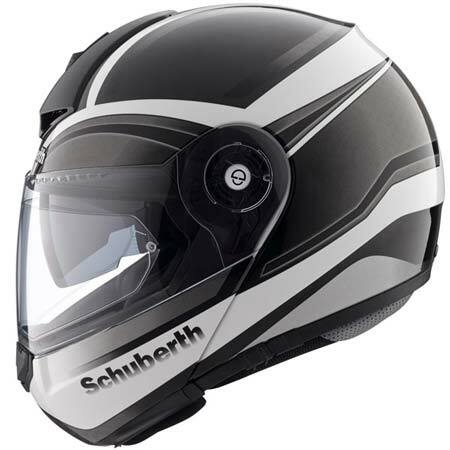 So it’s comforting to know that it comes with their standard 5 year manufacturer’s guarantee (you need to register your helmet on the Schuberth website to activate it). There’s plenty of modular helmets out there to choose from. 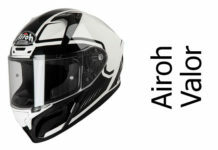 That includes the SHARP 5 star rated Caberg Tourmax (about half the price of the Schuberth), Shoei’s top of the range Neotec modular which is SHARP 4 star safety rated and well worth a look; and the Nolan 104 which is another four star rated modular helmet. 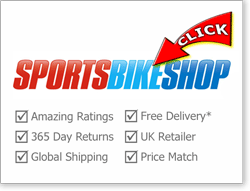 Alternatively, click to see all our flip-up crash helmet reviews or visit our top 10 modular crash helmets page. A solid attempt by Schuberth to create the lightest, quietest, best-performing flip-up helmet on the market. And they only just missed the target. Having said that, it's well built, comfortable and most owners love it. It's pricey though. It might not represent the best value on the market, but if you've got the money to spend, it's worth checking out.